Lament those players whose careers were cut short by apartheid, but how about those who did not even get a chance because of it? "Get back there, you prick." Not many people would speak to Barry Richards like that. But Donald Mackay-Coghill, a left-arm swing bowler for Transvaal in the 1960s and '70s, was not like many people. "He was the most competitive man I ever played against," Richards remembered at the launch of a book, South Africa's Greatest Batsmen: Past and Present, at Newlands in September. Richards was telling the story of a Currie Cup match between Natal and Transvaal, of Mackay-Coghill letting fly at a young batsman facing him with volleys of vividly vicious verbal venom. Mackay-Coghill's onslaught became intense and nasty enough to prompt Richards, the non-striker and by then a senior player, into action. In order to try and take the heat off the youngster, Richards challenged Mackay-Coghill with some verbal violence of his own. Both players traded epithets as they strode towards the bowler's mark together. At some point in the mini-melodrama, Mackay-Coghill growled the line above and Richards realised he would have to return to the crease before the next ball was bowled. So the crowd was treated to the sight of the batsman running in alongside the bowler, who was running in to bowl. Richards' telling of the tale raised hearty laughter from his rapt audience, and so it should have done. Anyone familiar with the conventions of the merry dance that batsmen and bowlers conduct before, during and after every delivery would have seen the humour. But how many would also have noticed what was wrong with the scene that was conjured? Richards and Mackay-Coghill are both white. So was everybody else on the field that day, and likely everyone in the crowd. The same racial hegemony would have prevailed in the press box, where white reporters would have written their stories for submission to white editors compiling editions of newspapers owned by other whites and intended to be read by still other whites. In fact, the only black people for miles in any direction would have been on their way to somewhere else or present at the behest of white employers. And they would have been forced by law to carry a dompas, a kind of internal passport that whites did not require. A look around the Newlands President's Suite as Richards spoke that September evening would suggest that not a lot had changed in the 40-odd years since. Beresford Williams and Nabeal Dien, respectively the president and chief executive of the Western Province Cricket Association, were among the handful of darker faces in a room filled with around 200 invited guests. They had gathered to hear the book's authors, Ali Bacher and journalist David Williams, discuss their work. 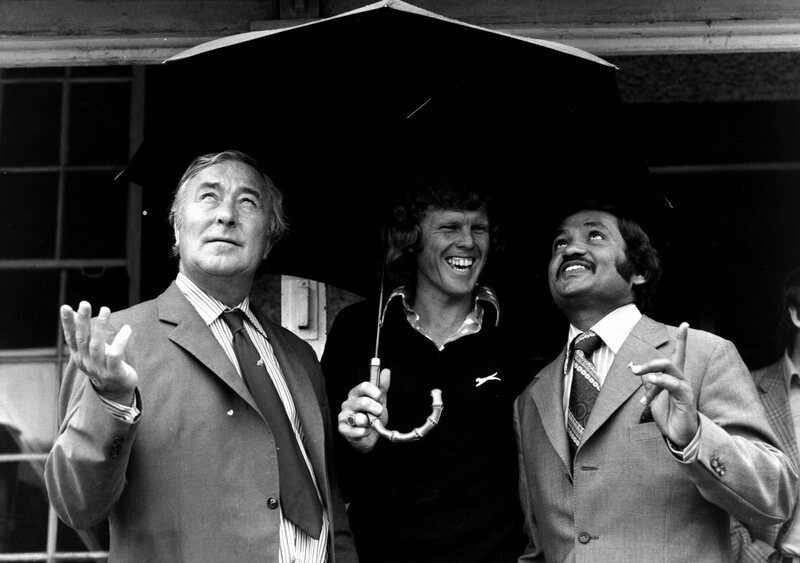 Richards was among the featured players, as was Graeme Pollock. All but two of the chosen 15 were white. The exceptions were Ahmed Deedat and Frank Roro. Who? Don't feel alone in asking. Google "Frank Roro cricket" and you will get about 43,000 results. Try "Barry Richards cricket" and that jumps to about 400,000. Was Richards that much the better batsman than Roro? We can never know, because anyone lucky enough to have been born white in South Africa then would, more than likely, have had access to quality education and with it, quality cricket coaching. Their family would have had the money to indulge their hobby, and if they showed enough talent they would have had the advantage of good facilities and opportunities to play at a prominent level - at home and in other countries. The opposite was true for those born black. 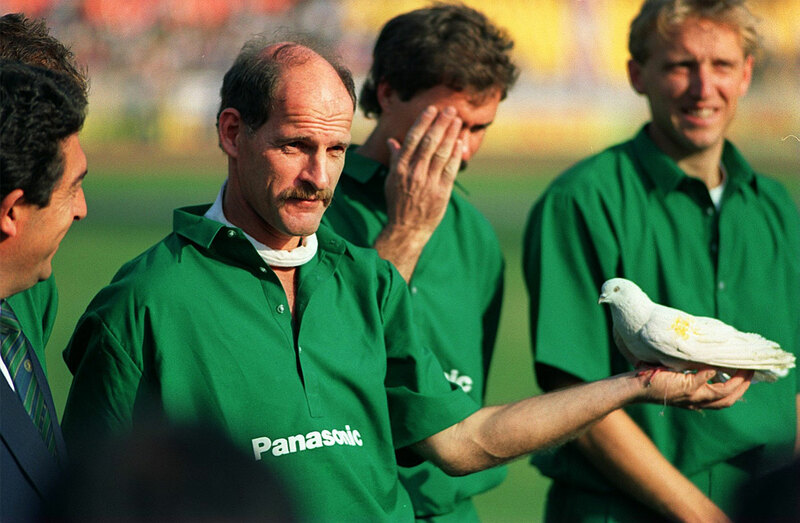 Like Richards, Clive Rice's international career was stunted by the isolation imposed on South Africa because of their government's apartheid policies. But unlike Richards and Rice, Roro had no hope of playing even one match for South Africa - also because of apartheid. And it's not just that blacks were denied opportunities; it's also that the better white players were heralded as heroes, when, in fact, they were at best stooges of an evil system and at worst active collaborators. Many, for instance, served in apartheid's army, albeit as conscripts who faced prison if they did not. Too much is made of how much international cricket lost by not seeing more of players like Rice and Richards, when it has to matter much more that white South African cricket tried to pretend everything was normal when it wasn't. As players they were giants, but they were far from universally loved. Should we care that Richards played only four Tests? Hell, no - he seems to have done okay for himself despite the supposed injustice of having been denied the privilege of playing more. Should we care that Test cricket was denied more of him? Hell, no - the game suffers no shortage of great players who have not been part of systems that trampled on the human rights of others to push a few to the top. Should we care that South Africa were allowed to play Test cricket in that era? Hell, yes - how corrupt a world do we live in if that can happen? Here is Graeme Pollock on Rice's virtual non-involvement in South African cricket after readmission in 1991: "It was such a pity - he could have given so much back to South African cricket if only they had used him. In the isolation years he kept coming back to South Africa and making a contribution when he could have left the country for good. To keep cricket alive for those 22 years of isolation was not easy." This is a prevalent opinion in South Africa among those who played pre-isolation. "I've never been asked to do diddly-squat, never been embraced," said Richards. "If CSA could only say, 'Come and be part of the process.' Instead there's an us-and-them situation. We don't want to tell the team how to play but it would be good to be involved." But it is not the only opinion in town these days. Enver Mall, a player on the black side of the divide in the bad old days and a national selector and franchise chief executive in the new era, remembered Rice, who died in July this year, differently: "When I looked at Clive Rice, purely the cricketer, and not what he stood for or represented as the captain and champion of apartheid South African cricket, he was the ultimate professional hard guy who never gave an inch and who absolutely believed in himself. 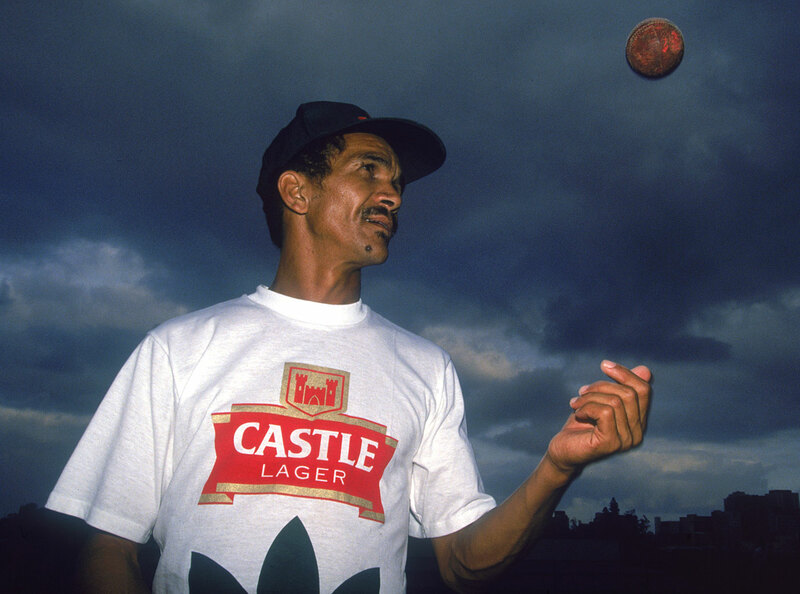 "The sad part is that he was never able to embrace cricket in the democratic South Africa with its complexities. He could have contributed so much more but he didn't." And he takes sharp exceptions to Richards' views, questioning whether he, like Rice, ever embraced the bigger picture of cricket in the new South Africa. Which leads to another complicated but necessary question: what did white South African cricketers think of apartheid? "It's very difficult to put it into a modern context," Richards said. "It's like asking what kind of car you liked in 1970. A Rover 90 was a nice car in 1970 but you wouldn't buy one today. "We felt we were part of a nation but also not part of a nation. We felt as if we were playing an English game. It was only after we were successful in 1970 [when South Africa beat Australia 4-0 in what became their last Test series before isolation] that the Afrikaans influence started to come into cricket. So we felt as if we were on our own, that no blacks or Afrikaners were onside. "Before we went to England to play county cricket, we thought blacks and Afrikaners didn't play cricket. We thought blacks played soccer and boxed and were involved in athletics. The Afrikaners played rugby, and they would come to town once a year and moer [thrash] Natal. They didn't play our game, so what's the big deal? It was only brought home then when you played with someone like Garfield Sobers." 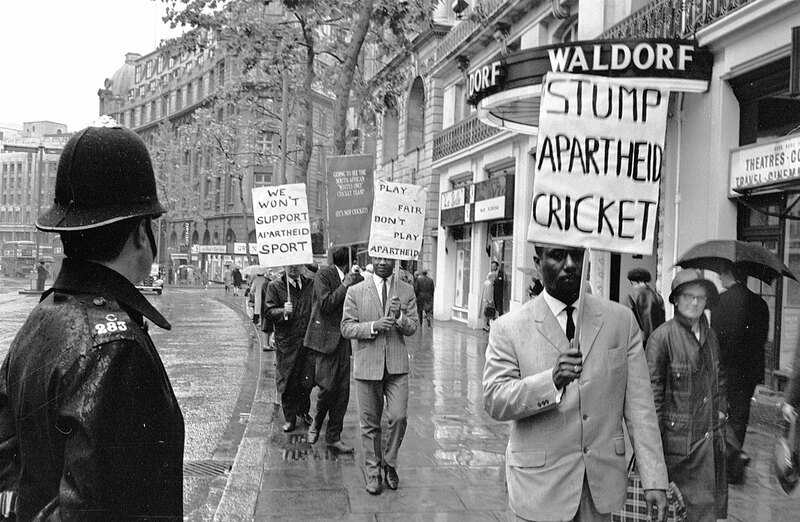 In 1971, after England's 1968-69 tour to South Africa and after the apartheid government had vetoed the inclusion of two black players in the South African squad for their planned visit to Australia, Richards and Mike Procter organised a protest. After one delivery of a match held at Newlands to celebrate the tenth anniversary of South Africa becoming a republic, the players left the field and issued a statement: "We cricketers feel that the time has come for an expression of our views. We fully support the South African Cricket Association's application to invite non-whites to tour Australia, if they are good enough, and further subscribe to merit being the only criterion on the cricket field." That captures the naiveté of the era. How could black players expect a fair assessment of whether they were "good enough" by members of a community that since 1948 had voted for a system that elevated itself socially and legally above blacks, who were mercilessly subjugated in every aspect of their lives? What, exactly, did merit mean in that context? "It doesn't get enough credence, not that I'm looking for credence," Richards said of the protest. "But the times were so different then. You can't imagine how strong the Broederbond [or brotherly union, a secret society of Afrikaners whose members held powerful positions in every avenue of white South African life] was, and for a bunch of English-speakers to walk off the field was big. "Once we had done it we started to wonder what the repercussions would be. Would they start digging into our tax records? Would they stop us from going overseas? We were probably being paranoid, but that was how things were then." Indeed, they were: the brave men who dared form the non-racial Aurora Cricket Club in Pietermaritzburg and the Rainbow Cricket Club in East London (where crusading newspaper editor Donald Woods was a member) endured the presence of the hated security police at their net practices. But those days were also about how cricket was above all that, how politics and sport should not mix, and how those who played and followed cricket cared only for cricket itself and to hell with minor issues like politics, death or taxes. Call it the antithesis of the Beyond a Boundary world view. In this world, CLR James' powerful metaphor - the window - existed only when cricket was being played beyond it. I must say now, and clearly, that I am of the South Africa of Verwoerd and apartheid ... a nation which ... is the product of its instinct and ability to maintain civilised values and standards amongst the alien barbarians. The African may well believe in witchcraft and primitive magic, practise ritual murder and polygamy; his wealth is in cattle. More money and he will have no sense of parental or individual responsibility, no understanding of reverence for life or the human soul which is the basis of Christian and other civilised societies. A good deal of nonsense is talked of, and indeed thought about 'segregation'. Segregation of one kind or another is practised everywhere in the world. These views were not unusual in a society in which the most dehumanising racism was casually accepted into the mainstream and its rigid enforcement enthusiastically supported. Events like the 1971 protest didn't happen often enough to challenge that dysfunctional status quo, much less bring about change. White players gave their all in the Currie Cup and then hightailed it to England in the off season, not seeming to give a damn about their lesser-privileged black compatriots even as they did so. There were exceptions, players like Allan Lamb and Kepler Wessels, who took guard under foreign flags of convenience to further their careers. And Peter Kirsten, who in the '80s held secret discussions with senior members of the then National Sports Congress (aligned with the banned African National Congress), with a view to playing in the black ranks. How could black players expect a fair assessment of whether they were "good enough" by members of a community that voted for a system that elevated itself socially and legally above blacks? Still, the first 247 of South Africa's 323 Test players were all classified white (including the mixed-race Charlie Llewellyn, described by Wilfred Rhodes as looking "rather like a sunburnt Englishman", who played 15 Tests between 1896 and 1912) before Omar Henry made his debut against India at Kingsmead in November 1992. 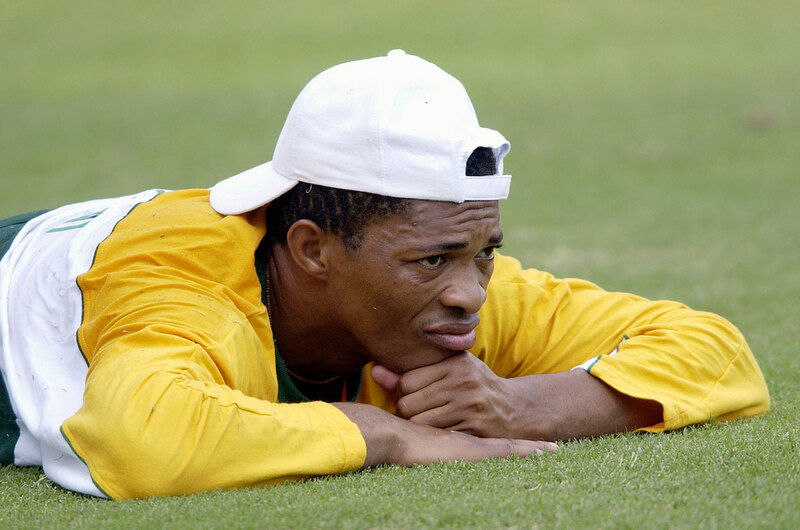 It took nearly six more years - during which another 20 caps were handed out - for Makhaya Ntini to become South Africa's first black African Test player. Finally, after 109 years as a Test-playing country and 218 Tests, South African cricket had found a way to represent the race group that in the 2011 census was found to comprise 79.2% of the population - people who, records show, have been playing cricket since the 1860s. Sadly, 175 Tests later, just seven of the 54 caps South Africa have awarded have gone to black Africans. 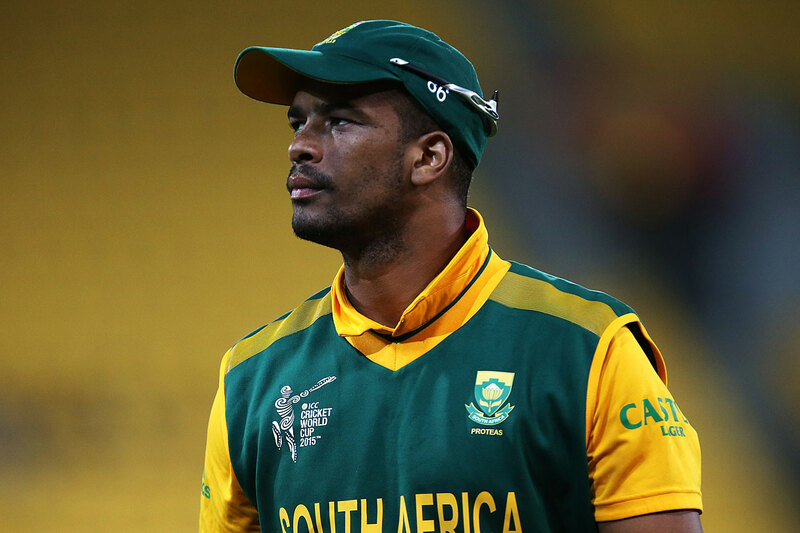 Even more sadly, transformation efforts have slipped from the insipid to the ridiculous, as was the case when Vernon Philander was picked ahead of Kyle Abbott in the 2015 World Cup semi-final. He was not fully fit, yet the board insisted on another non-white player in the XI. The victim of all that was not so much Abbott - although in subsequent matches he has performed like a wronged man - as Philander, who has been robbed of the credibility he earned the hard way by building a name for himself as a fine bowler. It is worth wondering, however, what would have happened had Philander helped win that match for South Africa… or if he had gone on to win the World Cup final itself. Would his race have been the focus of the ensuing media attention? Would CSA, who for days denied meddling in the XI's selection before finally admitting that they had done exactly that, have taken the credit for ordering Philander's inclusion? What would have happened if Philander was white? He would have been deemed to have bowled poorly and the wisdom of selecting him injured would have been questioned, but strictly in tactical terms. Nothing more. No one would have dared suggest, however obliquely, that he was in the team because of his race. Whatever else people called Richards when he was at the crease, after all, no one thought it necessary to point out that he was white, regardless of whether he got out for nought or 200.